This is a great tutorial I came up with on my own for gorgeous glittery Christmas nails! This is an easy tutorial and great for beginners or experienced nail artists alike. 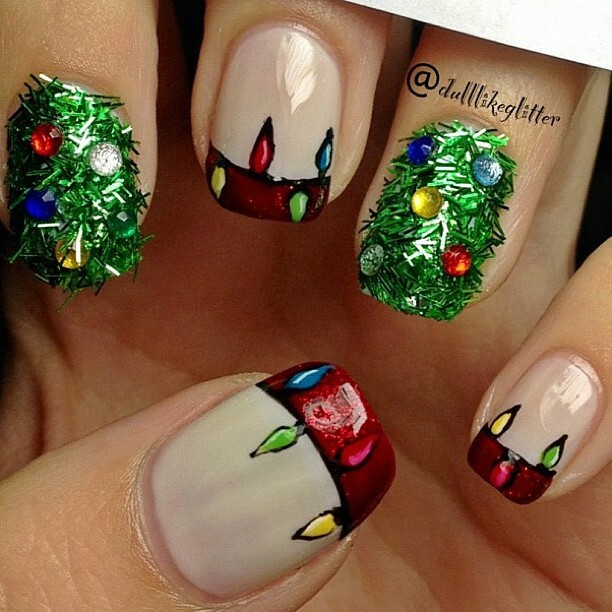 Here is a mani I did using the Christmas tree look on a few accent nails. Follow the simple steps in the video to get this look for yourself! Music was done by my sister as part of her band Ailura Fate. If you try this tutorial out I've love to see how you did! You can post response videos of your nails on my tutorial video, post to my nail facebook or comment on this blog post. Got big winnings at once? Then come to us and get even more. the best online gambling Win more with us.